Hosting and Domain Registration - What can the 'net' do for your business? Selecting the right domain (or series of domains) is a very critical step. Not only it is important for your clients and prospects to find you, it is very important for search engines. 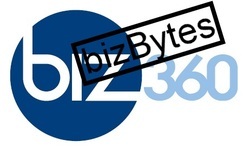 biz360 has a store (powered by GoDaddy) where you can check for domain availability and also purchase. Hosting is pretty much a commodity now. Whatever you do, don't host it yourself or even with a small local company. We recommend GoDaddy, which we are an affiliate for. We will be glad to set this up for you but if you want to browse, here is the link.